Tomorrow is a new day??!! So many things left… Yet to be done. So many words left unspoken.. You think tomorrow maybe.. I’ll try it once again..
You think tomorrow maybe.. I’ll not fail.. But then you realise its been years you have been waiting for that tomorrow. So really is that tomorrow you waiting for .. ? and make me whole again. “I had a sparrow as a pet. It flew away one day! Then I had a squirrel. It ran away! 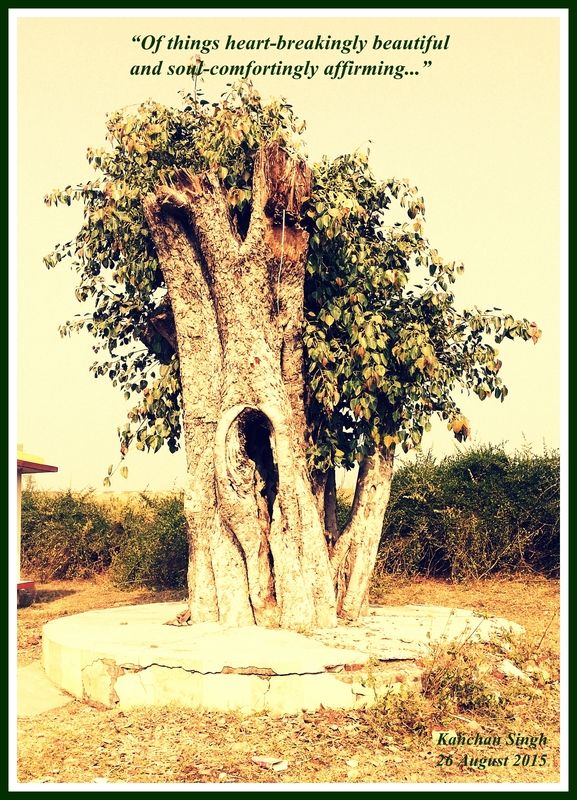 *Ashwattha is the sacred tree, which is an emblem of the “Tree of Life” – the symbol of the never-ending universe. Most often it just dies.